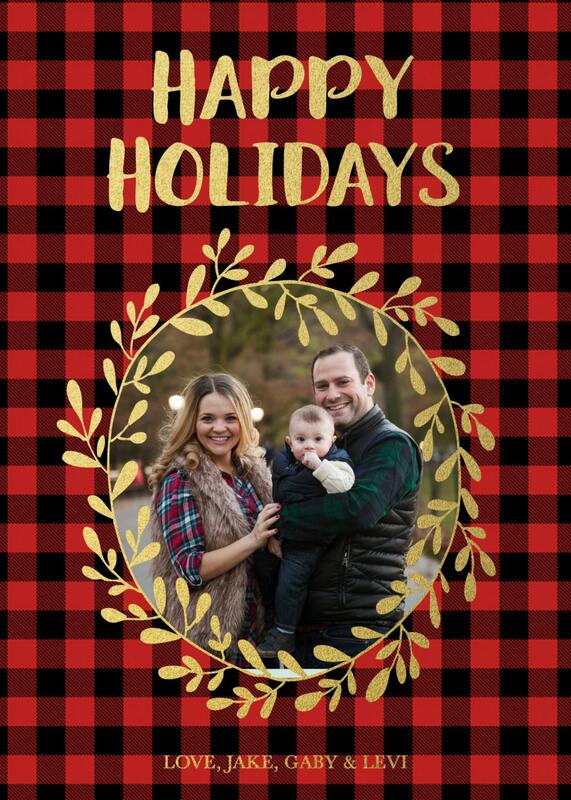 Spread holiday cheer with this beautiful personalized photo holiday card! 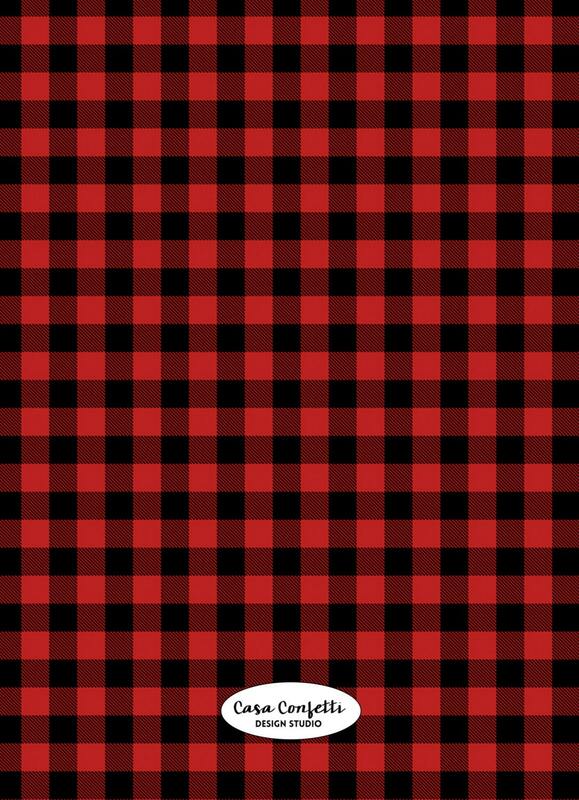 Features gold foil text and wreath border surrounding your photo, all on a classic red buffalo plaid background. 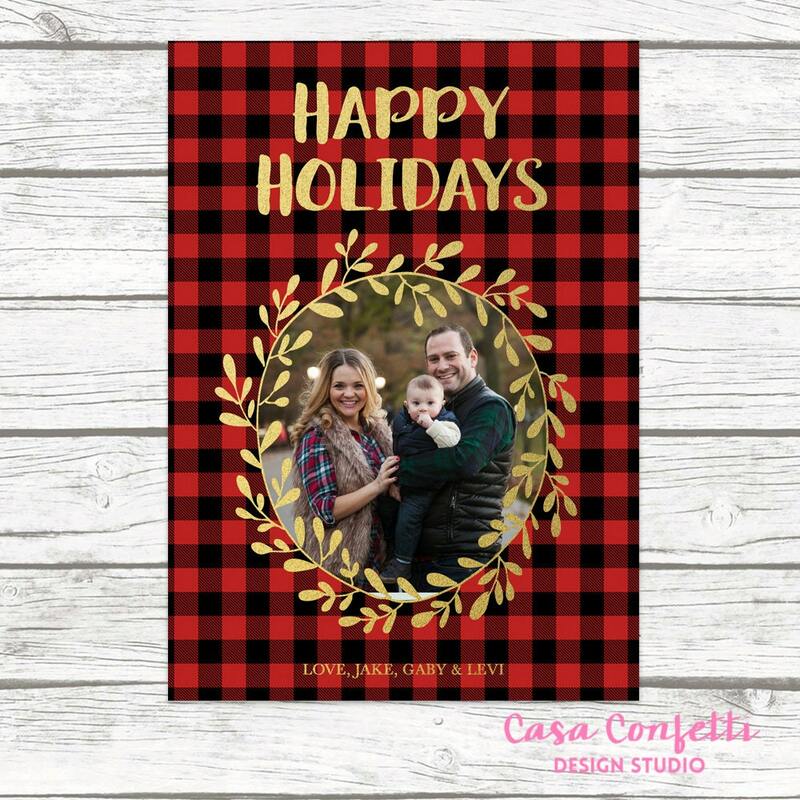 Share photos of your little one or your family with family and friends with this photo holiday card.